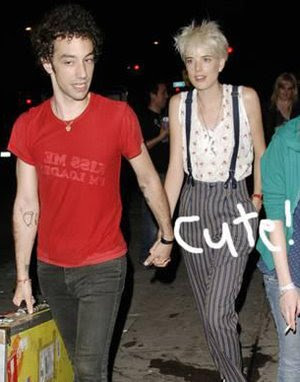 Check out Albert Hammond Jr. of the Strokes in a Kiss Me I'm Loaded shirt from Vintage Vantage. Rock star status... I guess inside-out is the new outside-in. Thanks to Perez Hilton for the photo.